In the car industry the fear for a recession is rising, the good years are over. Some even talk about the worst recession coming in decades. That’s the common thread in all financial reports of the manufacturers, benefits are reduced. Car manufacturers saw their net profit reduced with 28%, Toyota expects its (Japanese) fiscal year to close by the end of March with -19%. Ford announced earlier that the regress was 27%. 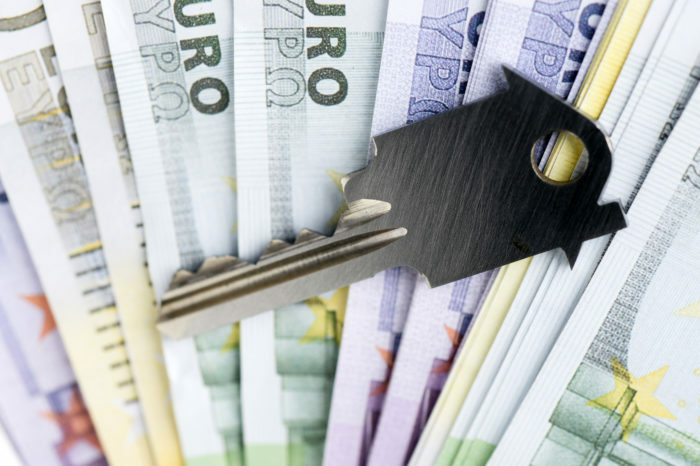 Raw material prices have been going up, the trade war between China, the US and the EU, a no-deal Brexit, the banning of diesels, everyone has one or several reasons to foresee that 2019 won’t be a good year in the car industry. The sales in China are the biggest worry at the moment because the regress is so drastic and there are no signs of a recovery soon. The question is still if this is a temporary recession or is there something more structural wrong in the biggest car market in the world? The result is that every manufacturer wants to cut costs and cutting costs also means cutting jobs. GM announced it, Ford followed a little later, Daimler has announced that it prepares a big cost-cutting program. “2018 was a year with many cross winds”, notes CEO Dieter Zetsche. 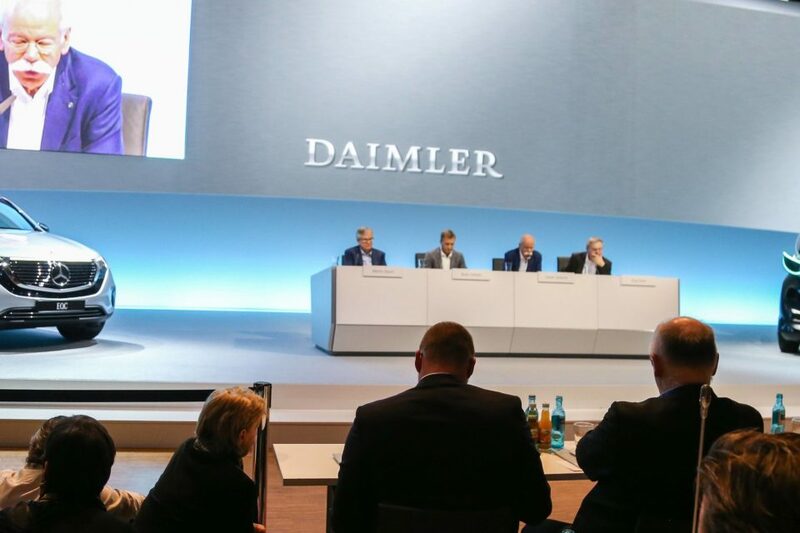 There was the diesel debate, the WLTP transition and the international trade war.” Happily for Daimler, the truck business is still doing well. 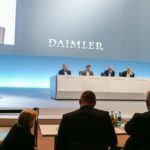 Nevertheless, Daimler prepares to pay a bonus for its German employees. The Japanese number one brand, Toyota, is still going fairly strong, but foresees nevertheless a 25% reduction in profits (which were an absolute record for 2017/2018). In China Toyota is still doing reasonably well thanks to the sales of relatively cheap cars. In Europe Toyota is afraid for the consequences of a no-deal Brexit. It exports 85% of the cars produced in the United Kingdom and imports a lot of parts to be able to manufacture the cars properly. A no-deal Brexit would severely jeopardize the just-in-time delivery of these parts. We announced already that Daimler will still pay a bonus to all employees for their hard work in 2018, GM has decided to do the same for the 46.500 workers in the US, they will each get 10.750 dollar in a few weeks, last year the bonus was a little higher at 11.500 dollar.